The European Union wants to help the Malian army recapture the renegade north from terrorists with a military mission. But the French and the Americans have already been operating in the region for years without success. Can EU intervention really make a difference? When the French foreign minister talks about Africa in the European Council, his counterparts from other European capitals listen very carefully. Because of their colonial past, France’s diplomats are viewed as experts on Africa. Previously, French President François Hollande had used similar arguments to persuade German Chancellor Angela Merkel. But what politicians in Paris glossed over is that France has been fighting Islamic fundamentalists in the Sahel for years — with its own elite soldiers, with instructors for the Malian army, with money and equipment and, most of all, without success. Skepticism also prevails in the German parliament, the Bundestag. “Let’s not jump the gun,” warns Florian Hahn, a defense expert with the Christian Social Union (CSU), the CDU’s conservative Bavarian sister party. “We should tell ourselves what it is we want in Mali before running after Paris’s interests,” says FDP parliamentarian Elke Hoff. Now the rest of the Western world is also concerned about developments in divided Mali. Islamists have seized power in the northern part of the country, where they have established an archaic legal system that includes stoning, whipping and amputation, in addition to forcing hundreds of thousands to flee the region. The transitional government in the capital Bamako appealed for help, as did the African Union and the Economic Community of West African States (ECOWAS). Even the United Nations Security Council favors intervention. France and the United States want the entire EU to participate. The German government is preparing to send several dozen soldiers as part of the mission, and Defense Minister de Maizière says that he cannot rule out the possibility that they will be involved in armed combat. The plans are being treated with great discretion in Brussels. Catherine Ashton, the EU’s high representative for foreign affairs and security policy, describes the deployment options in a confidential, eight-page report. The situation in Mali, the report reads, constitutes a direct threat to the overall security of the European Union, as well as increasing the risk of terrorist attacks on European soil. The military experts agree that European combat units will not intervene in Mali, at least not for the time being. The EU plans to provide the Malian government with instructors, money, military equipment and reconnaissance images. But is that enough? Can EU instructors sufficiently build up the ECOWAS troops and Malian soldiers so that they are capable of expelling the Islamists from the region? To stabilize the situation, French and US experts have been trying for years to improve the condition of the Malian army. But the effort has been relatively unsuccessful, as evidenced by the military coup that ousted President Amadou Touré last March. The north declared its independence soon afterwards. The desolate state of the Malian army is revealed in reports from the US embassy in Bamako published by WikiLeaks. The commanding officers were interested in a lot of things, just not in rapidly improving the fighting capacity of their soldiers. There is a long list of failures and handicaps, including elite units that are poorly equipped and wear sandals, demoralized troops from the south who show little enthusiasm for being sent to slaughter in the north and a lack of ammunition for training purposes. An advisory mission, known as EUSEC in the jargon of Brussels experts. Its goal would be to instruct Malian officers and noncommissioned officers at three military schools, including one in the city of Gao in the north, which is currently in the hands of the Islamists. This would require an estimated several dozen EU military trainers. Another aspect would include professionalizing the work of the general staff. A training mission (EUTM), which would require sending some 150 instructors to Mali for at least two years. Each of them would train a battalion (up to 800 soldiers) in one of four locations. The Europeans are also considering training an elite unit that could spearhead the fight in the north. The problem with this is that EU governments want to minimize the risk for their soldiers. But this modest deployment would have “little effect in the short term,” warn experts with the European External Action Service. 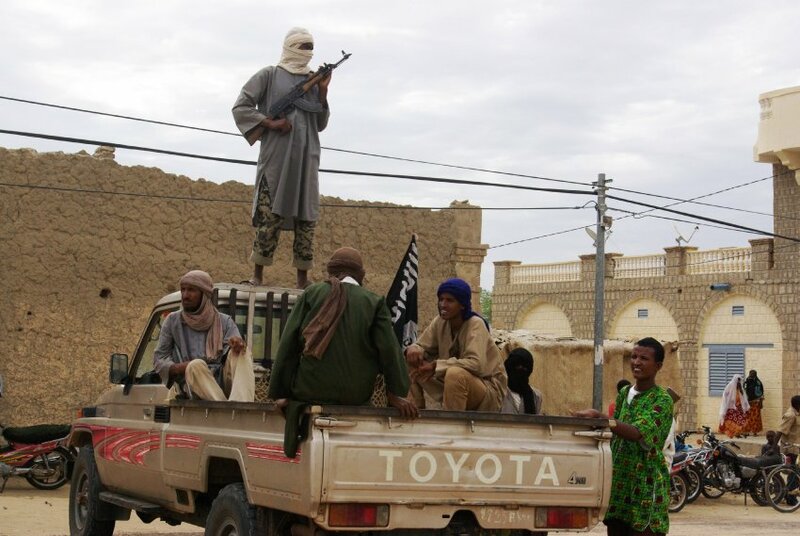 The Tuareg, who are currently suffering greatly at the hands of the Islamists, also warn against foreign intervention. Their representatives told members of the European Parliament in Strasbourg last week that al-Qaida is no longer popular in the northern part of the country, but that an offensive supported by the West could revive the terrorist group. The mission threatens to become a failure, particularly because time is running out. If the Malian army and the West African intervention force hope to invade the north before the hot summer, the Europeans will have to begin their training activities in the winter. And if they delay the mission, the Islamists will have plenty of time to strengthen their positions. Esse post foi publicado em Assuntos Internacionais, União Européia e marcado África, crise mali, fundamentalismo, fundamentalismo islâmico, Mali por Joanisval. Guardar link permanente.